Welcome to Cairns! 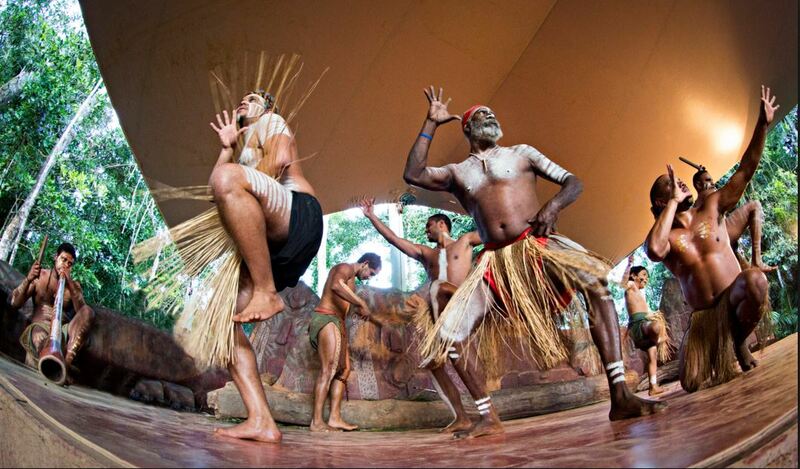 This tour package delivers the best of Far North Queensland. 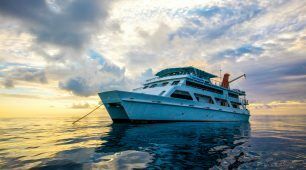 Explore the world famous Great Barrier Reef with an overnight stay on Australia’s best liveaboard, Reef Encounter. 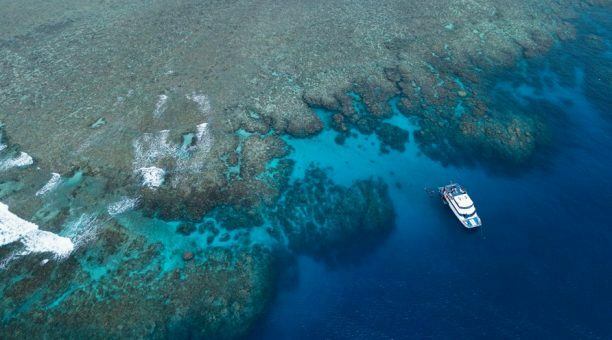 Spend your time floating between four different spectacular outer reef locations with Reef Encounter and discover the best coral reefs and marine life that the Great Barrier Reef has to offer. 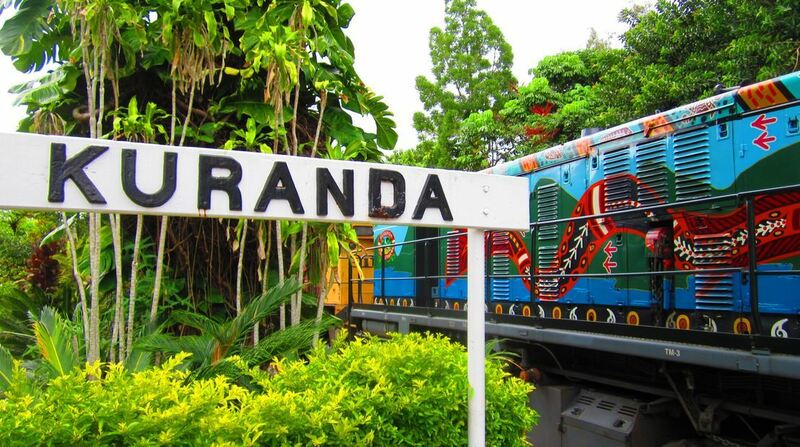 Next, explore Kuranda, a village in the rainforest. On this day trip, you will travel to Kuranda via the famous historical scenic railway. Once you’ve arrived, stroll through the local markets and meet some of Australia’s native wildlife and Rainforestation nature park. On the way back to Cairns, soar above the rainforest canopy and enjoy the views with Skyrail. 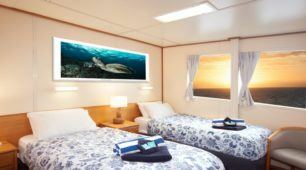 The luxurious Top Deck Club is the ultimate way to experience an overnight stay at the Outer Great Barrier Reef in comfort and style. Ideal for couples looking for a luxury getaway vacation, groups who enjoy a bit of VIP treatment or anyone who desires personalised in-water care. 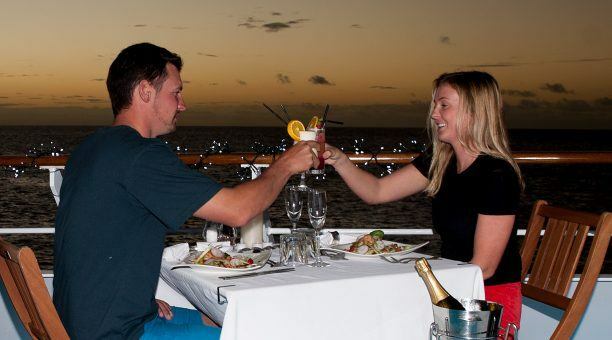 The VIP Top Deck Club guarantees a relaxing Great Barrier Reef holiday, styled your way! 7:30 am Breakfast on board Reef Experience, Marlin Jetty “A” Finger, Cairns. Meet your Top Deck Attendant. What is the Top Deck Club? 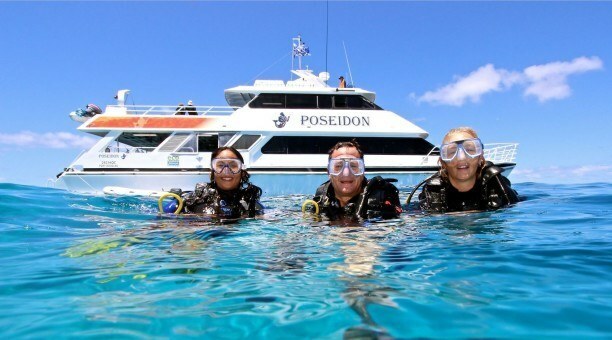 Fantastic service – A VIP Top Deck holiday is designed for people who wish to experience the best of the Great Barrier Reef in style! 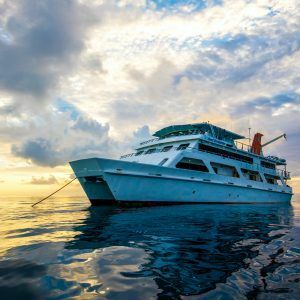 Much like ‘first class’ with an airline, it’s a trip that’s tailored to your personal needs and so everybody’s Top Deck experience will be specialised. A crew member just for you! 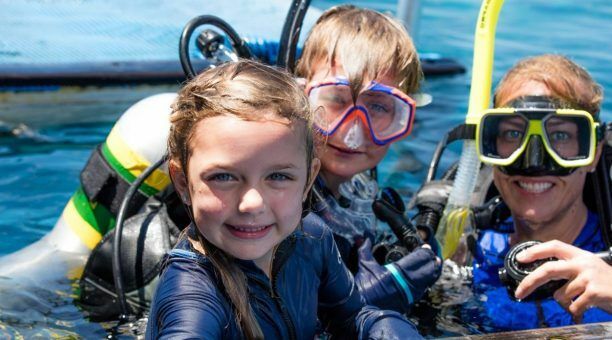 Whether it’s a professional in-water guide for private scuba/snorkel tours, a fountain of marine-life knowledge or all of the above, your personal crew member ensures your holiday flows the way you want it to. 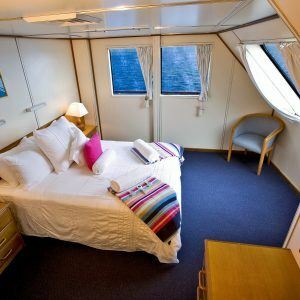 Our spacious liveaboard is fully air conditioned and with a large lounge and dining area, including a fully stocked bar. Enjoy the rooftop sundeck and an outdoor heated spa for relaxation in between snorkeling and scuba diving. 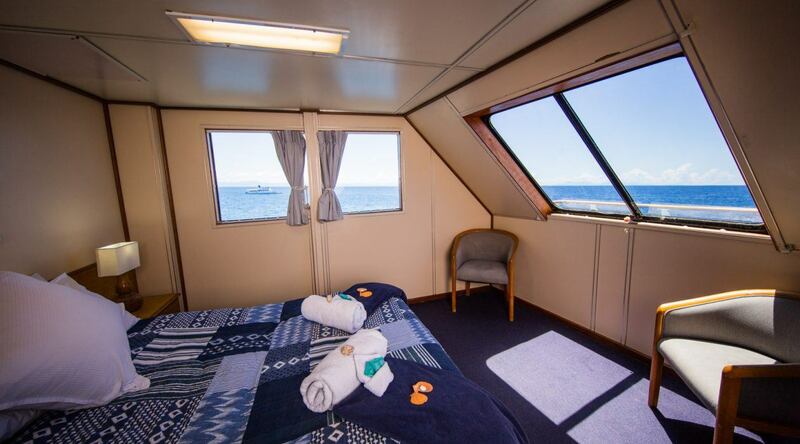 Staterooms on board Reef Encounter Are Double (1 Double Bed) and Twin share (2 Single Beds). When booking please advise your rooming preference. 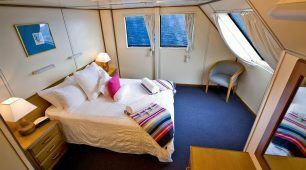 (We will do our best to accommodate you rooming preference). Located just 25 km northwest of Cairns, and surrounded by world heritage Rainforest, you will find the quaint and quirky village known as Kuranda. 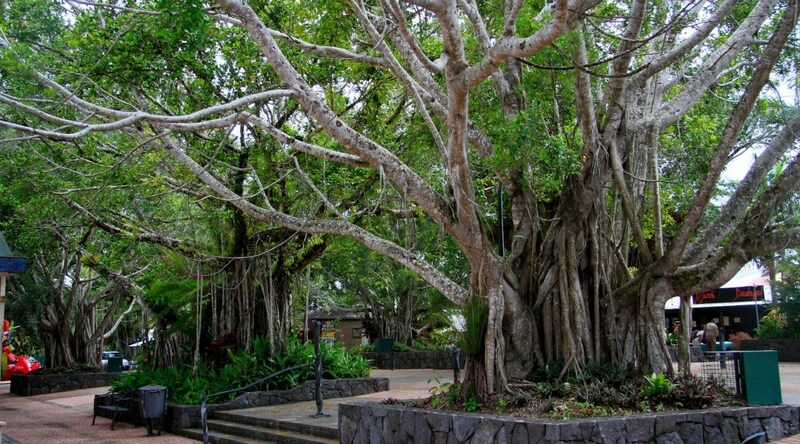 Kuranda has become a famous tourist destination in Far North Queensland known as the “Village in the Rainforest”. 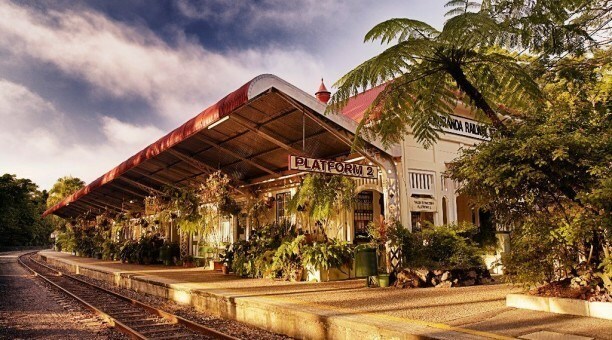 The best way to experience Kuranda is by combining the Scenic Train journey with the world famous Skyrail Rainforest Cableway, and that is exactly what this tour offers. 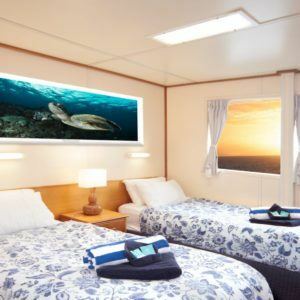 Your day starts with a pickup from your Cairns city accommodation. 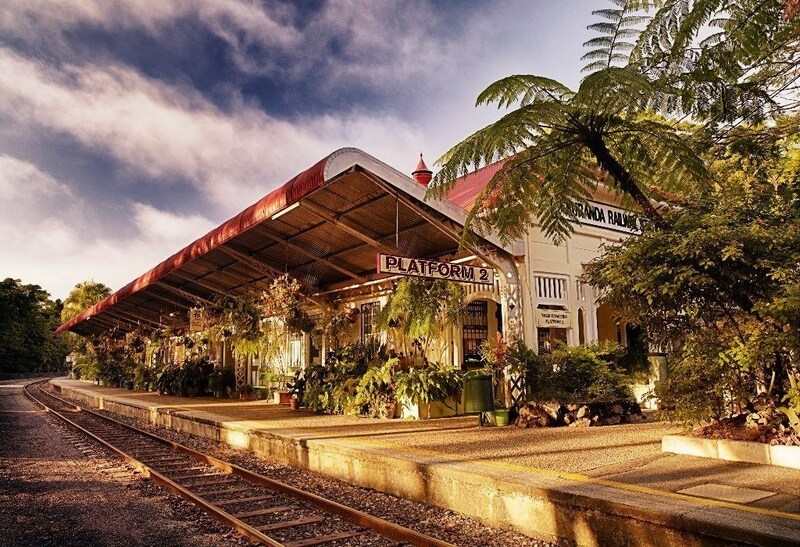 You will be transferred to the historical Freshwater train station. During the 90 minute scenic railway journey, you will climb over 40 small bridges and through many dark tunnels. You will learn about the Pioneering history of the Tropical North, while enjoying views of Barron falls. Rainforestation wildlife park is set on 100 acres of World Heritage Rainforest. 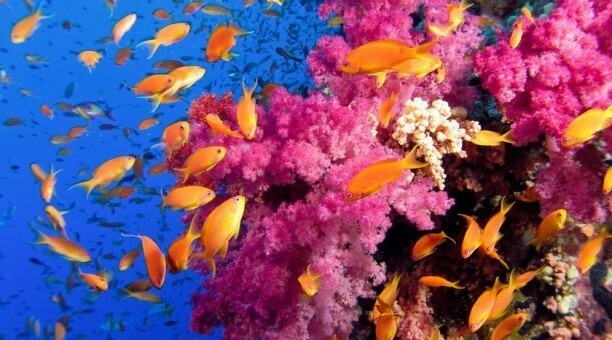 Here, you will experience the tropical Rainforest from a totally unique perspective. 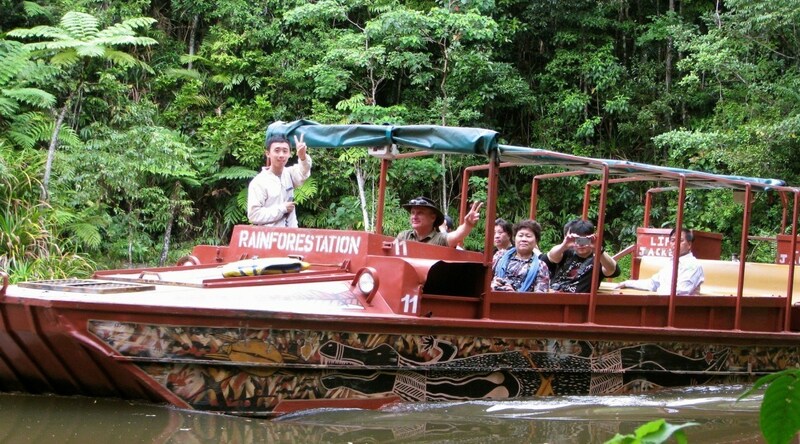 Rainforestation is home to the Army Duck Rainforest Tours on land and water, the Pamagirri Aboriginal Experience, and native Australian wildlife like the Koala and Kangaroo. After exploring everything Rainforestation has to offer, you will enjoy a delicious BBQ lunch at Rainforestation’s traditionally styled Aussie Restaurant. Whilst Kuranda Scenic Train gives visitors an amazing view of the Rainforest at ground level, the Skyrail Rainforest Cableway provides an extraordinary birds-eye-view of the Rainforest as it soars silently only meters above the Rainforest canopy. Stretching 7.5 km through the tropical Rainforests of North Queensland, Skyrail provides people with a unique opportunity to see and experience the Rainforest in a safe and environmentally friendly way. You’ll glide just metres above the Rainforest canopy before descending through the canopy layers and deep into the heart of the Rainforest at Skyrail’s two mid-stations, Barron Falls and Red Peak Station.